We are proud to offer our clients a comprehensive range of Dustbin having a capacity of 18 liters. It finds its application at bus stands, malls and at other garbage prone areas. It helps in keeping these places clean. These products have received rave reviews for their resistance against extreme weather conditions. 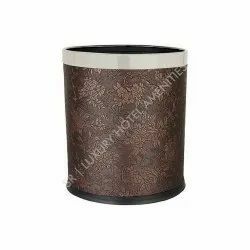 We introduce our latest product Leather Dustbin, both in Genuine Leather and Artificial Leather with Metal insert for long lasting durability and finess. Hand Crafted by specialized set of skilled workers for premium quality. 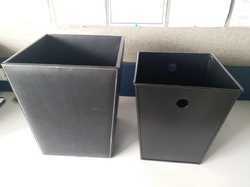 With the active support of our renowned vendors, we are able to offer a wide assortment of Dustbin. The extensive range of Steels Dustbins offered by us find wide application in diverse residential and commercial sectors.